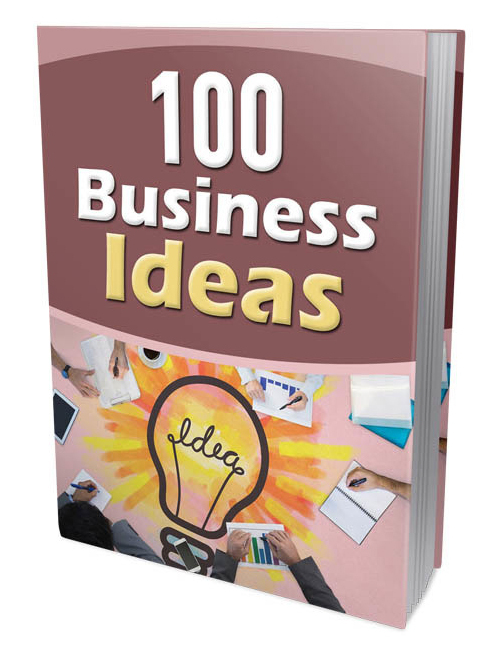 100 Business Ideas is your VIP brainstorming guide to uncover the next hot to trot niche ideas that are going to open your door to online super success. Whether you are searching for broad venues, specific niches, business niches or otherwise. From the cream of the crop you get to choose which million dollar madness you are going take on as your own. From there you will receive specific instruction as to developing your idea and creating the solid platform you need to win. It’s all about having the tip top elite information to shine and this guide delivers. It doesn’t take long to make it after you have found the golden nugget. The sooner the better. Which means if you are as smart as you look you’ll act now. 100 Business Ideas is your strategic solution for developing your masterful marketing blueprint today. Get it if you are serious about creating your residual income source till death do you part.